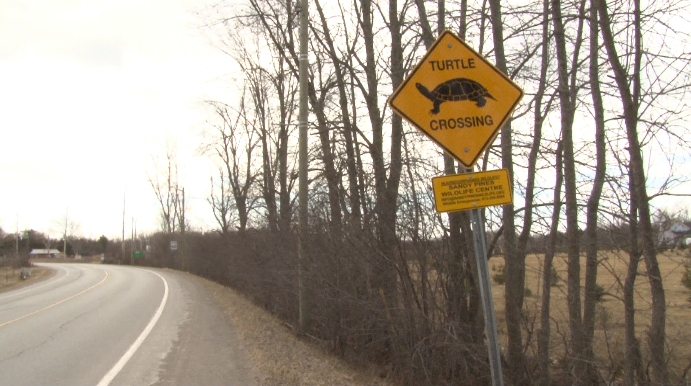 TRENTON – Seven out of eight species of Ontario turtles are at risk. Do you know how to protect them? 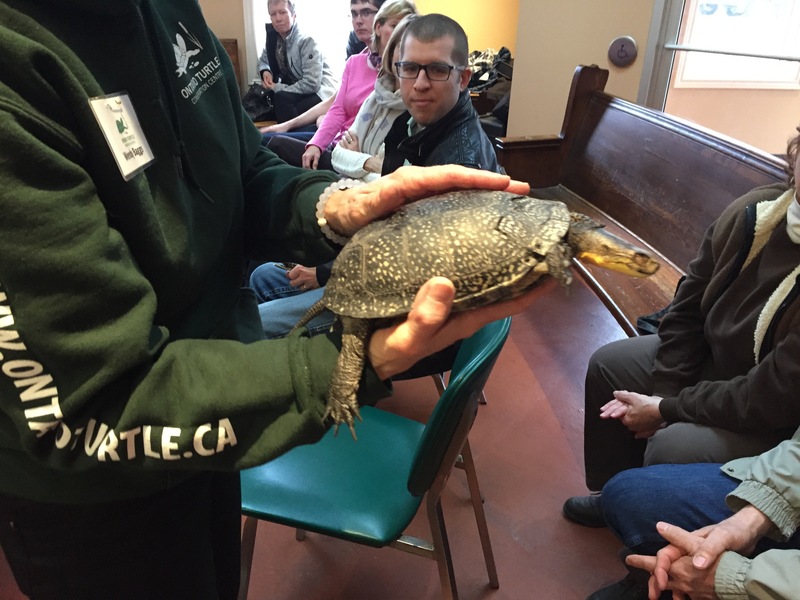 The Hillcrest Animal Hospital in Trenton hosted a turtle conservation seminar Tuesday night. 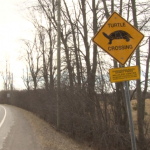 The main reason turtles are at risk is loss of habitat, according to Wendy Bagg, education co-ordinator for the Ontario Turtle Conservation Centre in Peterborough. 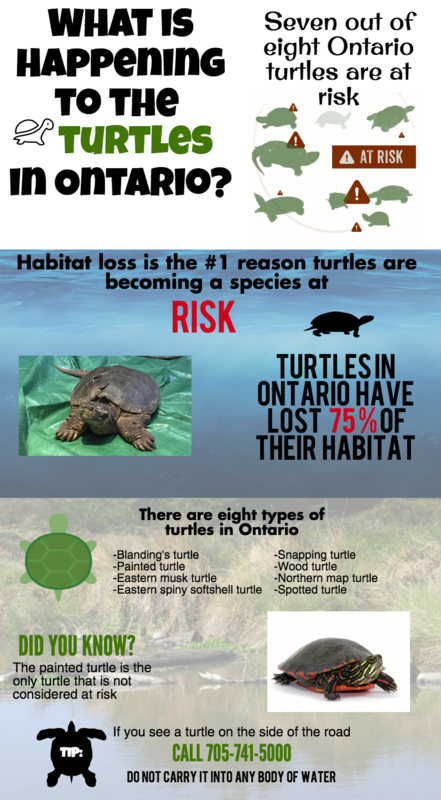 The only turtle species not listed as being at risk in Ontario is the midland painted turtle. The “species is at risk” category ranges from low concern to being on the verge of becoming extinct, Bagg said. 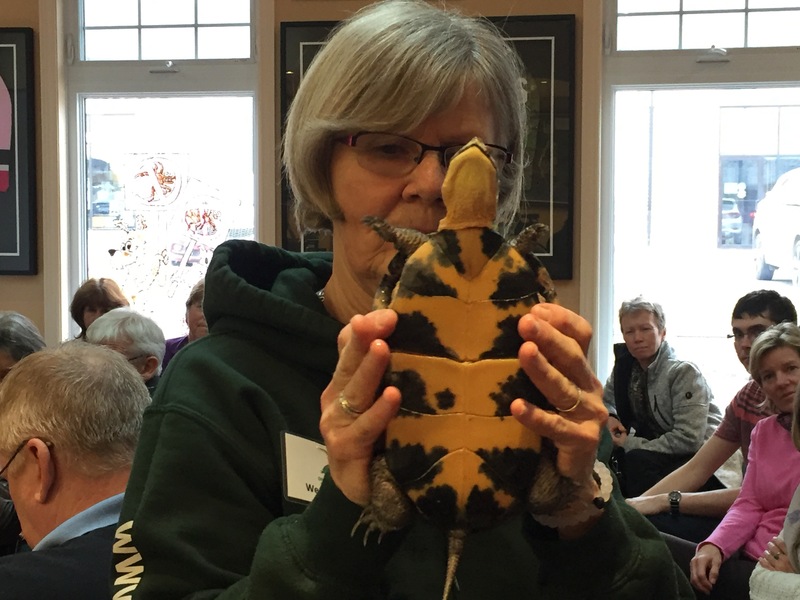 She brought two live turtles to the event: a snapping turtle named Mr. D and a painted turtle named Andrea. 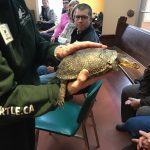 The snapping turtle, typically the largest kind in Ontario, is listed as a special-concern species at risk. However, you can still hunt it with a fishing licence, according to Bagg. The centre has a petition in progress to end the hunt. 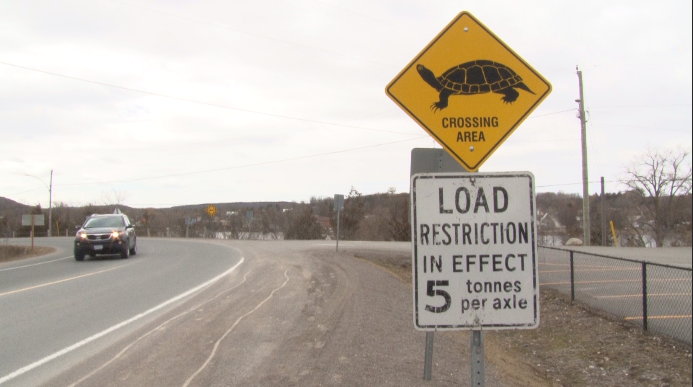 What can you do to help Ontario’s turtles? One important way is to safely guide them off busy roads and out of harm’s way. Approach the turtle from the rear. Bend down, grab hold under the backside of the carapace (the shell). As you raise it up, gently slide your other hand under the turtle, as if it were a pizza. Hold the base of the tail for stability. 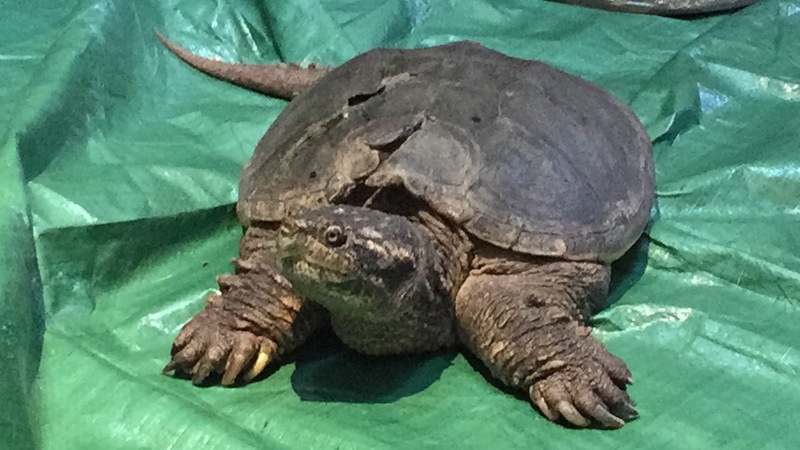 Never lift a snapping turtle by its tail, as it is part of its spine and you can injure it. 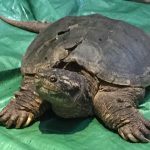 It can seem like common sense to release a turtle into nearby water if you find one, but Bagg said you should not do that. 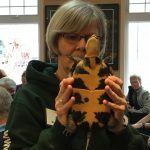 Turtles spend up to 90 per cent of their time in the water, she explained, and this means that their shells and scales absorb whatever is in the water, she explained. That means that you could, without realizing it, be infecting the turtle with disease or bacteria that’s in the water – or introducing disease or bacteria carried by the turtle into the body of water. 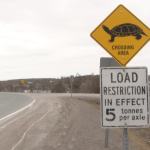 Everyone should remember to pay attention to turtle-crossing signs, Bagg said.